Via Press Release: Actor Jason Gedrick has joined the cast of SHOWTIME’s Emmy® nominated drama series DEXTER™ for Season 7. Gedrick, who will appear in a multi-episode arc, will play the manager of a Miami-area gentlemen’s club that becomes linked to a high-profile murder case. Production on DEXTER begins in May in Los Angeles and will premiere on SHOWTIME Sunday, September 30th at 9:00 PM ET/PT. 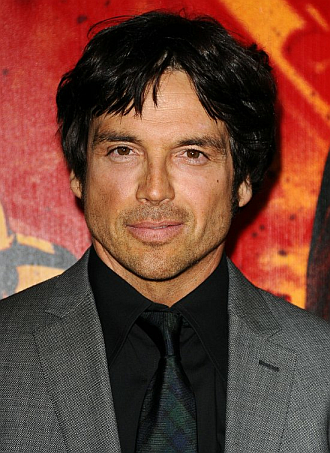 Jason Gedrick has had leading roles in several films including Iron Eagle, Stacking, and Heavenly Kid. He also co-starred with Meg Ryan and Kiefer Sutherland in Promised Land and in Ron Howard’s Backdraft, as well as starring in Crossing the Bridge. His stage work includes starring in the Broadway production of Our Town with Don Ameche and Helen Hunt, as well as recently appearing in the production of Wrongturn at Lungfish, directed by Gary Marshall. He most recently starred in the television series Luck. His other television credits include Murder One, EZ Streets, Falcone, Boomtown, Ally McBeal and Desperate Housewives. One of the most acclaimed series on television, DEXTER stars Michael C. Hall (Golden Globe® and SAG Award winner) as a complicated and conflicted blood-spatter expert for the Miami police department who moonlights as a serial killer. The show has received both multiple Emmy® and Golden Globe® nomination for best television drama series as well as a prestigious Peabody Award in 2008 and was twice named one of AFI’s top ten television series. The show also stars Jennifer Carpenter, Desmond Harrington, C.S. Lee, Lauren Vélez, David Zayas, and James Remar.